COURSE OF INSTRUCTION FOR G.N.M. 1. Educational Method & Media for Teaching in Practice of nursing. 2. Introduction of Research of Nursing. 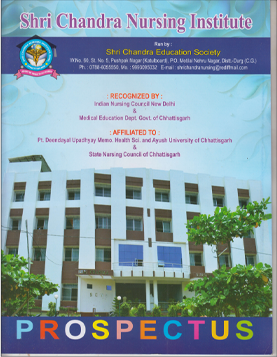 Shri Chandra Nursing College offers best nursing facilities and training for G.N.M (General Nursing Midwifry) course as best nursing college.